Clinicians use many tools to measure your overall health. One is called the body mass index, or BMI. Essentially, it is an easy method for individuals and health care professionals to determine if one is at a healthy weight for their height. BMI is calculated by dividing weight in pounds by height in inches squared, then multiplying by a conversion factor of 703. The level of BMI is categorized, ranging from underweight to several classes of obesity, as shown in the chart below. BMI can easily determine if a person is underweight, normal weight, overweight, or obese based on the results. 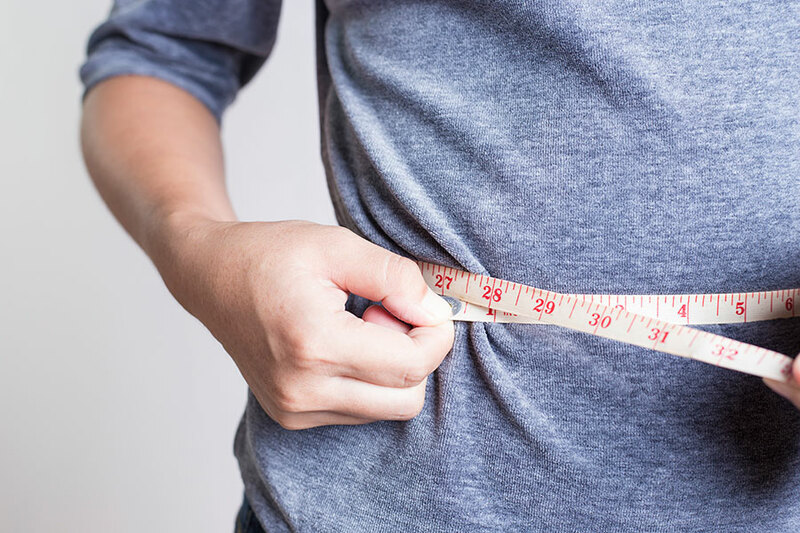 This is important because there is an increased risk of obesity-related diseases, health conditions, and mortality associated with a BMI greater than 30. Conversely, there is an associated risk of mortality with a BMI less than 18.5. Does BMI account for muscle mass or frame size? One of the drawbacks of BMI is that it does not distinguish between fat mass and fat-free mass, such as bones or muscles. For example, someone who lifts weights regularly, and has a high amount of muscle mass, will have falsely high BMI because BMI uses their overall weight, failing to distinguish between weight that is from muscle or weight from fat. However, according to the American College of Sports Medicine, persons with a BMI at or above 30, with the exception of those with high amounts of muscle mass, are presumed to have excess fat. What does a high BMI indicate in terms of impact on health? Higher BMI levels have been linked to multiple diseases, such as heart disease, arthritis, Type 2 diabetes mellitus, dyslipidemia, hypertension, and certain cancers. The link between being overweight and mortality is not as clear as the strong link of increased mortality and obesity. However, any BMI outside of the “normal” range is correlated to an increased risk of many health-related concerns and diseases. How is BMI used by a medical team? BMI is used to quickly determine the status of one’s weight. It is a tool to gauge the amount of weight one would need to lose to decrease their risk of many health-related concerns. Health care providers may also use this tool to determine certain treatment plans. For example, bariatric surgery eligibility is dependent on class of BMI. Additionally, a health care provider making recommendations for weight loss may be more conservative or aggressive based on one’s BMI. How can individuals use that information to improve their health? BMI can identify the need for weight loss and the degree of weight loss necessary. Individuals can also use their BMI to understand the risk of developing health-related concerns and co-morbidities. Ultimately, it can be used to motivate individuals to participate in lifestyle modification behaviors that promote weight loss, such as starting an exercise program, meeting with a dietitian to establish a healthy eating plan, or having regular check-ups with their doctor. This also may encourage patients to seek help with smoking cessation or stress management. In general, BMI can be a very useful tool to inform an individual of their health status and encourage him or her to seek out and make healthier lifestyle choices. For more information on weight loss, visit the Center for Weight and Wellness at The Miriam Hospital. Kerri Costa is a nurse in the Center for Weight and Wellness. She holds bachelor's degrees in nursing and exercise science and is a certified diabetes outpatient educator. She has worked in the health care field for more than 15 years.